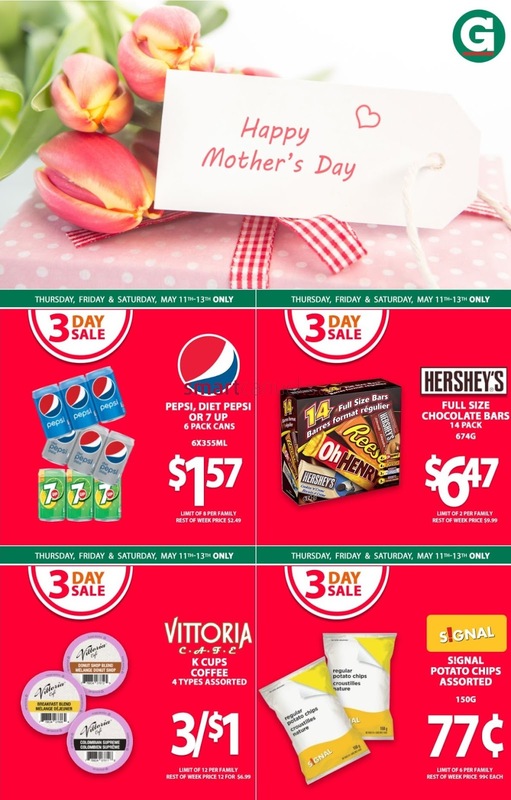 Guardian Happy Mother's Day Thrusday, Friday and saturday, May 11th-13th only 3 day sale Pepsi, diet pepsi or 7 up 6 pack cans $1.57, Hershey's full size chocolate bars 14 pack $6.47, Vittoria K cups coffee 4 types assorted 3/$1, Signal potato ships assorted 77 cent. 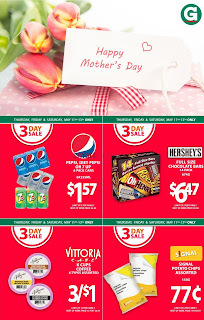 For more detail products like Just a simple click on the image bellow for details Guardian Flyer May 11 to 17, 2017 - Dartmouth Gate. Guardian Canada Flyer May 11 to 17, 2017 - Dartmouth Gate. Subscribe this category for more of Guardian Flyer products and deals.